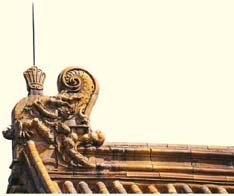 The Little Prince who lived in the Forbidden City was a naughty boy. He was such a headache for his father, the Emperor. One day in the woods, the Little Prince met Uncle Zicheng from Polaris. Uncle Zicheng told the Little Prince that his home, the "Forbidden City", was the best home in the world, and his mission was to help everyone in the world to have a better home. And so Uncle Zicheng took the Little Prince on a wonderful adventure in the woods. During his journey, the Little Prince met genies and went through a series of trials. Finally, the Little Prince learnt to understand the importance of treasuring the goodness of Nature, and caring for people around him. He was also determined to learn from his father how to become a good Emperor. Primary student, Siu Lung, was reluctant to take part in the "Exchange Visit to the Forbidden City" and planned to leave during the course of the visit. Suddenly he met Uncle Zicheng from Polaris. Uncle Zicheng used magic to turn him into a little prince and took him on a wonderful in-depth tour of the Forbidden City, so that he could understand the meanings behind the architecture and visit various places within the palace filled with blessings and good wishes. Finally, Uncle Zicheng took Siu Lung back to modern times. 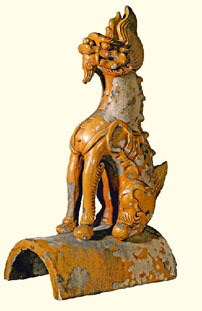 Siu Lung then enthusiastically introduced the Forbidden City to his teachers and fellow schoolmates, and was determined to protect this almost 600-year-old cultural heritage. The talk will be conducted in an interactive format, which is both educational and fun. The host will guide students on a tour to various corners of the imperial palace, the Forbidden City, and help them understand the importance of cultural heritage. Actors will play the roles of palace staff and introduce the meaning of the name "Forbidden City". Besides, they will also give a brief introduction to the architectural features of the Forbidden City and explain the wisdom and characteristics of Chinese architecture. The Forbidden City is like a book filled with historical stories, and it is for us to treasure and protect, so that more people will see and explore it. 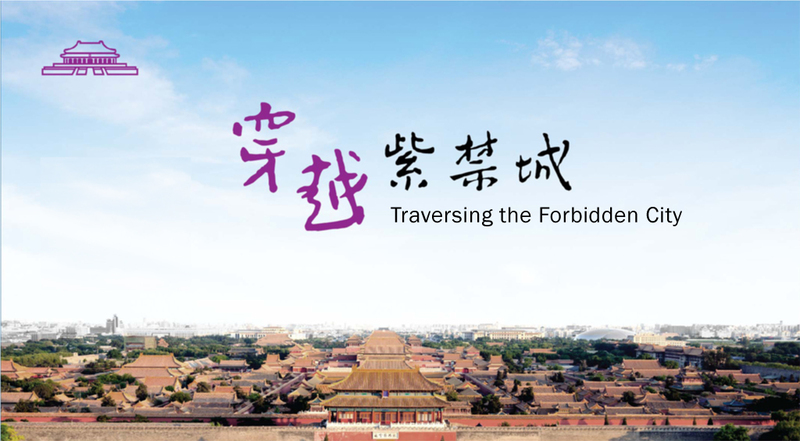 Would you like to visit the Forbidden City? Using an interactive approach integrating elements of drama, screen projections, animation and sci-fi sound effects, students will be involved in an interesting detective game aimed at solving the mysteries of the Forbidden City, which will trigger their curiosity about the palace's architecture. Students will be encouraged in an impromptu way to team up and take part in the "Creativity in the Forbidden City" competition, which will allow them to bring out their creative potential through the design and creation of their own unique works centred on the theme of the Forbidden City. After having received the works submitted by the students, the Exploration Theatre will again visit the various schools, and arrange for the participating students to present to their fellow schoolmates the design concept and methods used in the creation of their own work. Interactive educational activities will also be conducted. At the same time, certificates will be awarded to the winning students. The winning works will automatically be entered into the inter-school competition. (3) "Creativity in the Forbidden City"
The jury shall select the finest works from the winning entries of the respective schools participating in the "Creativity in the Forbidden City" competition. The winning students and the school representatives in this inter-school competition will be invited to join the award presentation ceremony where they will introduce the design concept of their work. 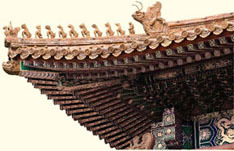 The palace complex is not merely a living space, the interior space has to also embody the concept of imperial power. 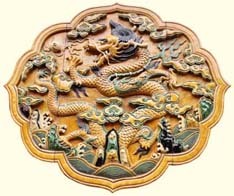 Through the examination of the interior decorative components of the Forbidden City, participants will be able to appreciate in detail the art of the palace chamber spaces and enjoy the refined artistic pleasures of the emperors and the empresses. Quote ：110 seats. Free admission; first come, first served. The city of Beijing is in fact an extension of the central axis of the Forbidden City. When one walks through the Forbidden City, he would surely cross the timeline of dynasties. In this talk, the audience will learn more about the architecture of the Forbidden City and the city of Beijing through a series of images, documentaries and short films. Quote ：130 seats. Free admission; first come, first served. Students will learn about the fineness of the Forbidden City's architecture, the characteristics of traditional Chinese wooden structures, as well as the challenges faced and experience gained in conserving wooden architectural components of locally-built heritage sites. Students will have the opportunity to assemble Dougong (the interlocking bracket system used in traditional Chinese timber-frame buildings) models and to learn the basic skills used in the conservation of wooden objects. Exhibition Exhibition on "Traversing the Forbidden City – Architecture and Craftsmanship"
The exhibition introduces the layout, as well as the origin, planning and architectural features of the Forbidden City, with focus on the most transcendent building in the palace - Hall of Supreme Harmony. By examining the carpentry, tiling, coating and polychrome painting amongst the eight glorious craftsmanship techniques, the exhibition unfolds the profound historical culture and architectural wisdom of the Forbidden City. The style and characteristics of Chinese buildings in Hong Kong will also be introduced to facilitate visitors' understanding on the importance of conserving historic buildings.